Concrete high-rises which protrude from landscapes. Splendid buildings which force themselves into the spotlight: Often buildings are constructed to attract attention. Organic architecture aims for the opposite. It wants to integrate a building into its natural environment. To do this, arrangement and coloring are selected in a consciously unobtrusive manner. Materials and structure are adapted to the specific location. Not only shape and function should merge into a unit. This is also desired for architecture and nature. In fact, sometimes this succeeds so completely that a house is almost invisible - as these three very spectacular examples show. Architecture that does not simply occupy a piece of land but fits into the landscape in a perfectly restrained manner is all the more impressive. The architecture firm Osa, has achieved such compelling inconspicuousness to perfection in a villa in Basilicata, southern Italy. The engineers staged a display of stylistic minimalism that makes the sensational view even more breathtaking. The terraced building is nestled on the hill of the sloping lot. 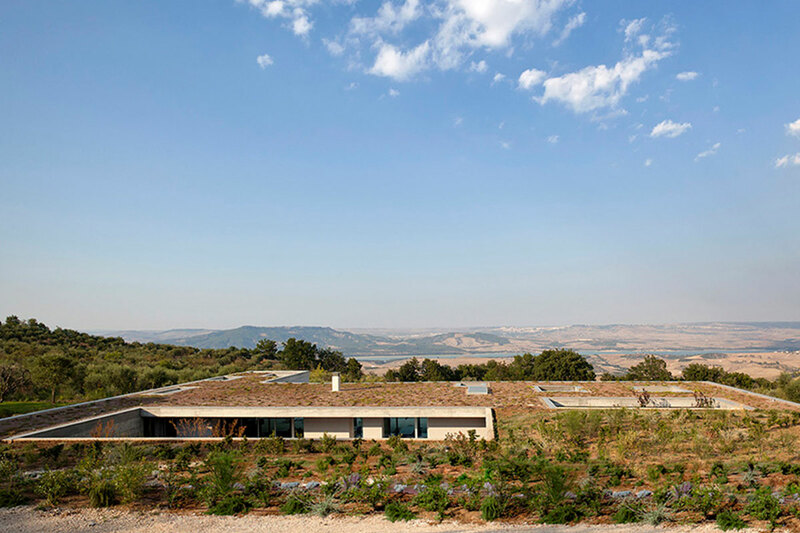 Chameleon-like, the leafy roof takes on color and texture of the vegetation surrounding it. Here, not only nature and architecture merge seamlessly. The change from indoor to outdoor area is also fluid. The rooms are designed in such a way that they perfectly take advantage of daylight and natural ventilation. In combination with a rain water and photovoltaic system, energy consumption is kept to a minimum. The plants on the roof also offer excellent thermal insulation. It is there but cannot be seen - the Casa Invisibile from the Viennese hotbed of architectural work, Delugan Meissl & Associated Architects. DMAA mainly gained fame through their large-scale prestige buildings. That is, until the architects came to realize that there are hardly any high-quality prefabricated houses at a reasonable price. And so was born the Casa Invisible. 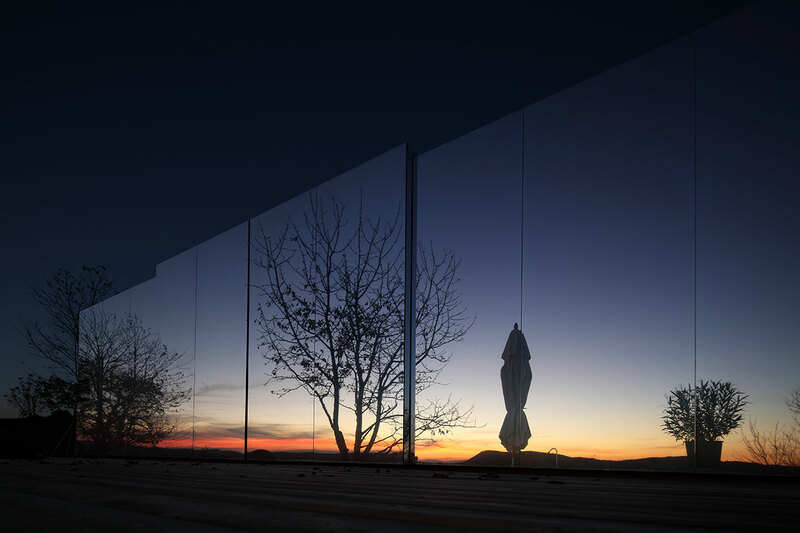 Its fully mirrored aluminum facade ensures that the 45-square-meter box merges visually with its environment. The flexible unit is a prefabricated wooden construction that can be optionally ordered fully furnished and is turn-key ready at its respective destination. With dimensions of 14.5 by 3.5 meters, transport on a truck is no problem - as is finding a suitable lot. In view of the increasingly tight real estate market, the 'invisible' prefabricated house, with its intelligent use of materials, is a groundbreaking alternative to cost- and management-intensive, conventional construction. It certainly looks good in any case. 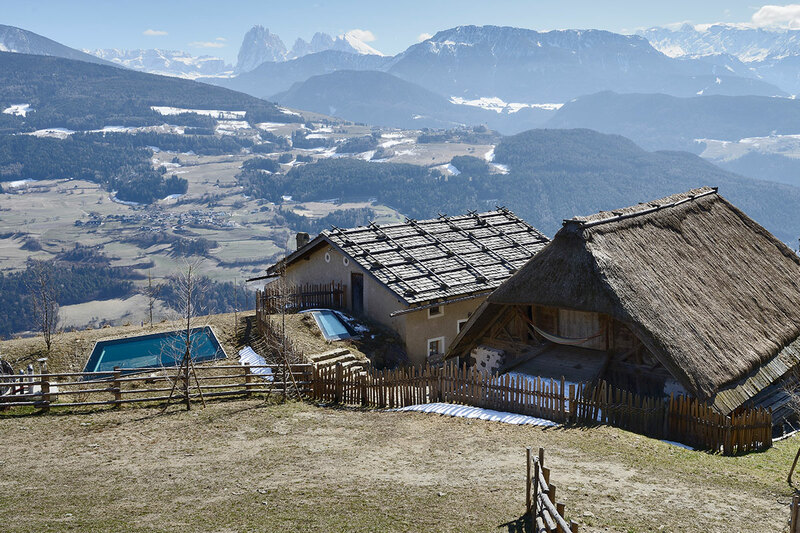 The 500-year-old Felderhof, in the Isarco Valley, is a typical example of a traditional South Tyrolean two-room farm. When an extension was necessary, the challenge was to ensure that the added space was achieved with a minimal impact on the overall historical look. 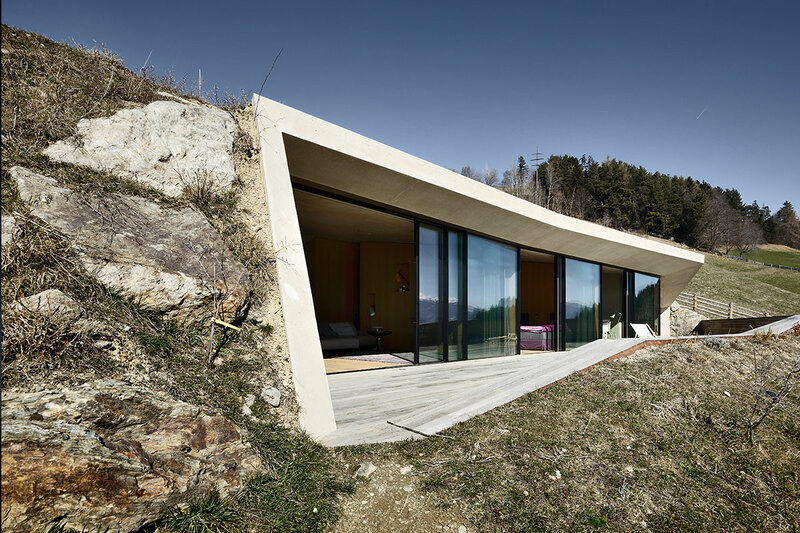 The architect Pavol Mikolajcak, from Bolzano, solved the demanding task by placing a substantial part of the expansion underground. The special topography of the natural area made this possible. The brick-shaped new building is built into a rocky slope which directly connects to the existing house. The new and the old living area are connected to each other under the surface of the hill. From the north side of the slope there are only two skylights which are level with the meadow and indicate the space below. To the south there is a glass front that opens across the entire width of the addition onto a terrace with a spectacular views of the valley. A unique architectural interplay of old and new. Organic architecture, with its subtle restraint and its stylistic understatement is not only extremely pleasant to look at. It also satisfies the need of many people for a life in harmony with the natural environment. Anyone who wants to enjoy living close to nature, at least for a time, can do this in wonderful vacation homes.